The Scalabrini Missionaries began their presence in England amid the Italian communities of Bedford in 1954, expanding later in the area of Peterborough (1958) and in 1966 in London, in the Archdiocese of Southwark. Since 1948 the newspaper "The Voice of the Italian" develops his link action, information and sponsorship for the Italian community always alive and dynamic. In 1971 the pastoral care extends to the communities of Surrey and Sussex by establishing a pastoral position in Woking, where an Italian community, particularly from Sicily, was flourishing. Among our first Scalabrinian Missionary priest were Ugo Cavicchi, Walter Sacchetti, Angelo Susin, Umberto Marin, Giovanni Alessi, Alberto Vico e Mario dalla Costa . In the year 60's, in order to support the continues migration of young people in London, a Hostel for Italian women was built and begins its activity with pastoral and spiritual support of the Sisters of St. Dorothy of Cemmo. 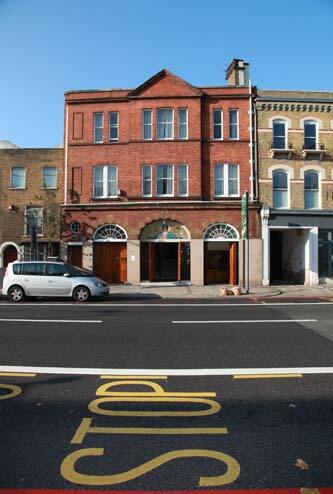 In the same year, a Nursery School for Italian children was opened in Clapham Road. In 1983 the missionary work of Father Alberto Vico opens the Villa Scalabrini, a nursing home care for elderly Italian immigrants and located in the countryside of Shenley (Hertfordshire). Since 1996, the pastoral service of the Scalabrini Centre of London was also extended to the Filipino immigrants and from the year 2005 , the pastoral activities was started with the Portuguese immigrants.. They have their community gatherings every weekends Saturday and Sunday in Scalabrini Centre , 20 Brixton Road SW9 6BU, in order to celebrate, reflect and share convivial moments and folkloristic feasts. In this way, the mission of the Scalabrini Fathers shows a constant welcoming spirit to various immigrant communities. In a multicultural society, often times personal conflicts and community diversities was being manifested in England, the Scalabrini Fathers Mission tends to become a place of communion and sharing faith, open with diversities with different ethnic cultures. Through different community initiatives done or moments that different communities lived together, such as processions, celebrations, council meetings with different immigrant communities who are present in Scalabrini Fathers' mission ... We share community life to an intercultural ministry among the migrants, in the name of the Scalabrinian Charism which supports the values of the Kingdom of God who are to be called a missionary migrant working among the migrants.